Step-by-step planning and concentration turn an ordinary tissue box and an old CD into a toy that spins into action. Future engineers, step right up! Decorate an empty tissue box with cardstock. Cut dolphins from cardstock. 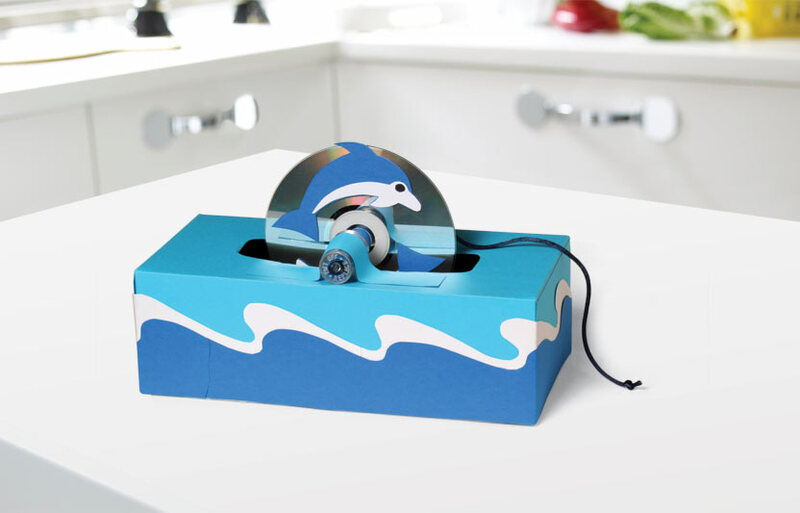 Glue the dolphins to an old CD. For the axle, fold a sheet of paper in half lengthwise and roll it up. Slide it through the hole in the CD. Let the paper unroll until the CD no longer spins freely. Secure the roll with tape. Tie a 4-foot piece of cord onto the axle, behind the CD. Wind the cord around the axle. Cover the ends of the axle with plastic water-bottle caps. Place the axle, as shown, with the CD in the box opening. Cover the caps with a strip of cardstock. Tape the cardstock to the box, as shown. To make the dolphins leap, gently pull on the cord. 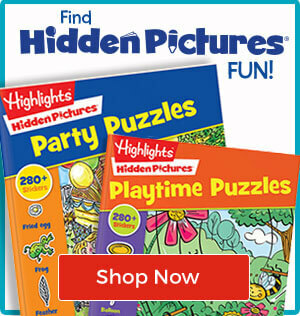 For older kids: Foxes, sheep, and tigers leap, too. Decorate the tissue box accordingly, with woods, a meadow, or a jungle scene. Or glue family photos on the CD so it looks as if people are jumping into a swimming pool. Glue wallet-size school photos of yourself in order of age and watch yourself grow up as you gently pull the cord.